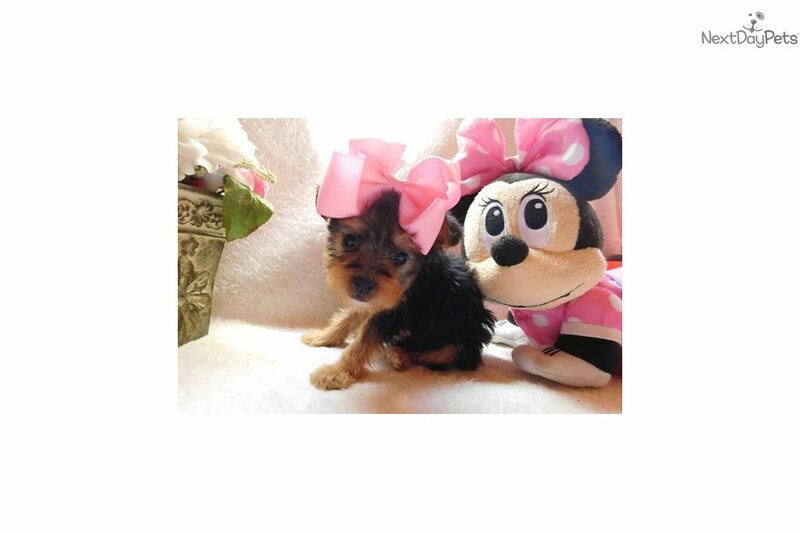 This Yorkshire Terrier - Yorkie nicknamed Portia sold and went to a new family. Porcia is super friendly and loves to stay right next to you. She is mellow and has an outgoing personality. I think she might be around 4-5 lbs when grown. She has the babydoll face and is just the cutest little girl in person. All puppies have been working on potty training. They come with up-to-date shots and records. I give a year health guarantee, (It can be extended to 2 years.) 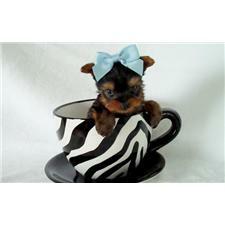 I only deliver in the lower 48 states and the puppies are hand delivered and paid for when you get them. I do require a deposit upfront, unless you are coming to pick up in person in a day or two.